Check out Tobi's Cowl Does It Feel Sweater Dress A fall fave for when you're just chillin'. The Rose Cowl Does It Feel Sweater Dress comes with two side pockets for casual vibes. 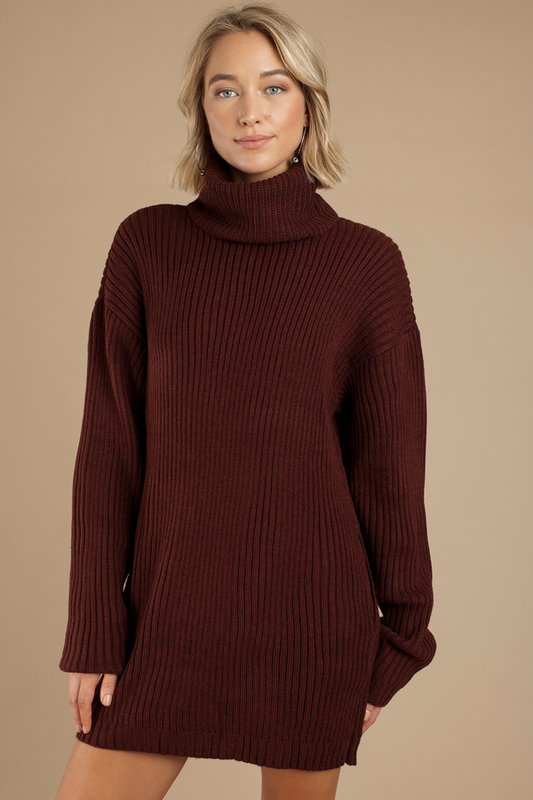 This chunky rib knit turtle neck dress has extra long sleeves and dropped shoulders for a relaxed look that was made for sweater weather. Pair this oversized sweater with thigh high boots. A fall fave for when you're just chillin'. 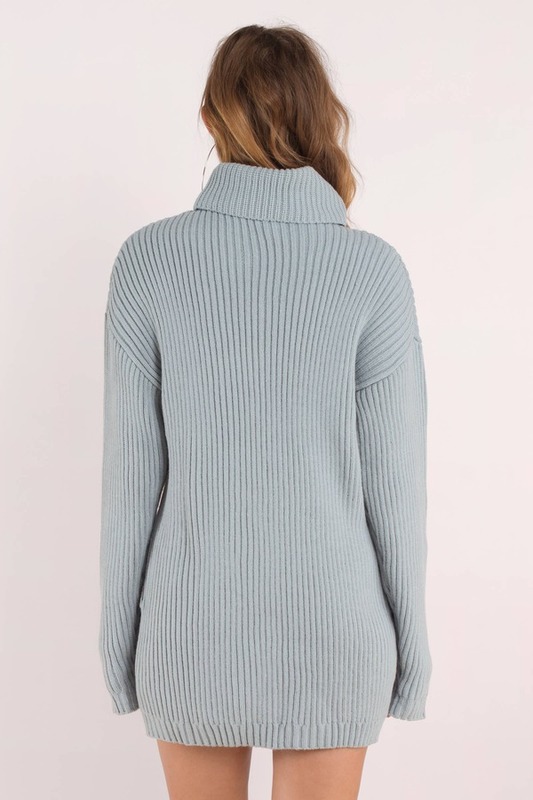 The Vintage Blue Cowl Does It Feel Sweater Dress comes with two side pockets for casual vibes. 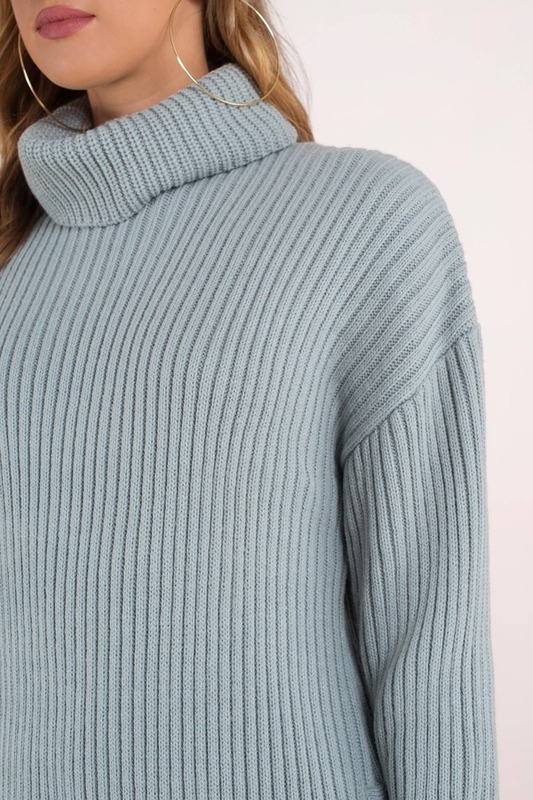 This chunky rib knit turtle neck dress has extra long sleeves and dropped shoulders for a relaxed look that was made for sweater weather. Pair this oversized sweater with thigh high boots. A fall fave for when you're just chillin'. 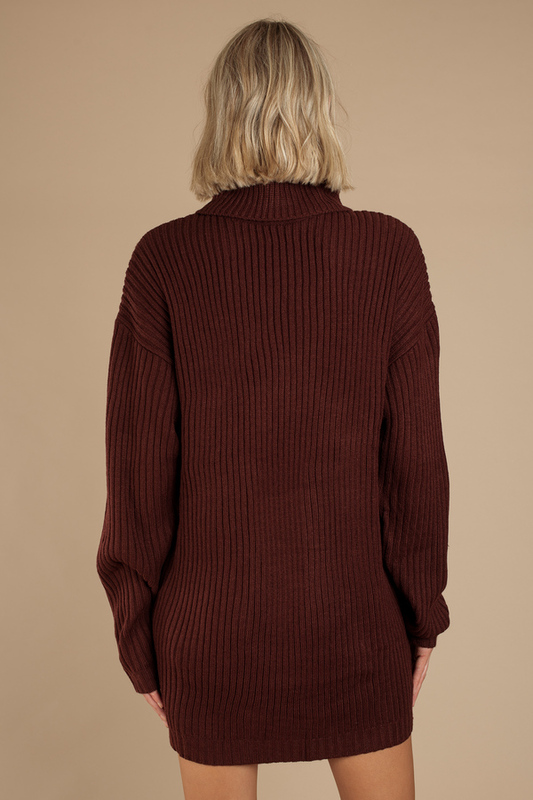 The Wine Cowl Does It Feel Sweater Dress comes with two side pockets for casual vibes. This chunky rib knit turtle neck dress has extra long sleeves and dropped shoulders for a relaxed look that was made for sweater weather. Pair this oversized sweater with thigh high boots. A fall fave for when you're just chillin'. 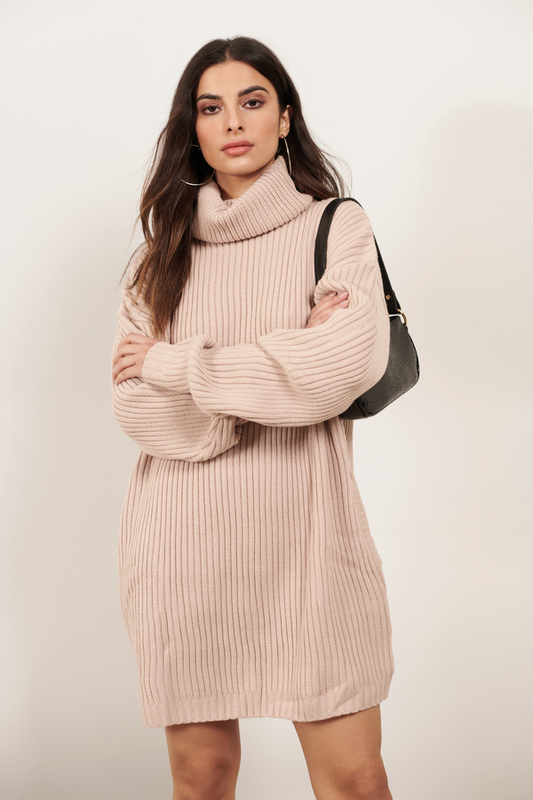 The Rose Cowl Does It Feel Sweater Dress comes with two side pockets for casual vibes. 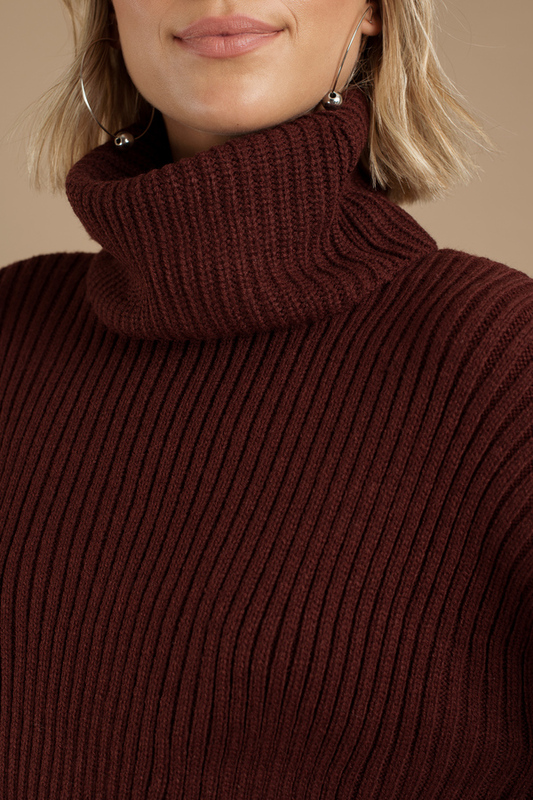 This chunky rib knit turtle neck dress has extra long sleeves and dropped shoulders for a relaxed look that was made for sweater weather. Pair this oversized sweater with thigh high boots. Rose, Vintage Blue modeled on a size Small.